So you believe your home or commercial property deserves a genuine wooden floor…Good thinking. You will combine all the benefits of beauty, class, long-life and hygiene in one easy-to-maintain surface. The variety of wooden flooring on the market is greater than ever before. So where do you start? 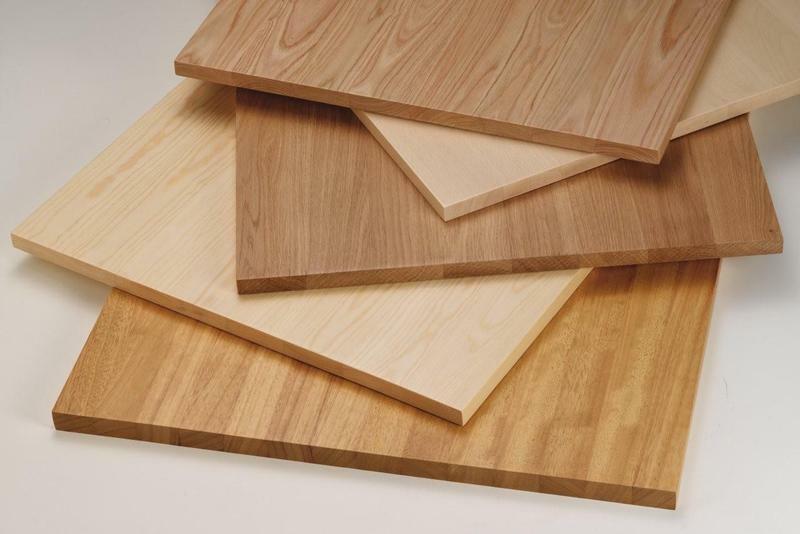 Let’s take a look at the three main types: solid wood, engineered boards; and parquet. Your choice may be restricted by the type of subfloor: whether concrete or wood (chipboard or ply). Very uneven floors may need some fresh plywood - though fitting an underlay can help to a degree. This is the traditional type of wooden flooring: either softwood - usually pine - or hardwoods such as oak, beech and maple. Its durability is legendary, with oak floors adding beauty and splendour to some properties for hundreds of years. Solid wood is sensitive to humidity - and can warp and buckle in unsuitable environments. 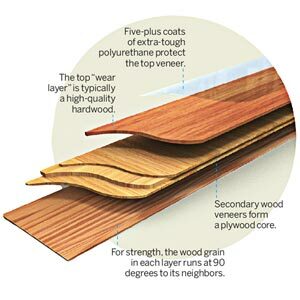 It needs a strong bond and is best suited for wooden subfloors, where it can be nailed down. Wood laid upon a concrete floor will require gluing down. The use of underlay is not possible in these situations. The floor may be restored several times over its lifetime, depending on the depth of the boards after each sanding. Coming in random lengths - the wood is very strong and resistant to serious damage. The more economical option, with its veneer surface of various woods laid upon plywood. It is usually installed as a floating floor, in that is not attached to the subfloor but allowed to ‘float’ above it. The boards come with tongue and groove slots - so are easy to fit and can be easily removed. Laying a floor is a relatively quick job - and therefore cheaper. Such a floor can accept underlay - which is recommended as it improves thermal insulation and - to a degree - sound-proofing. The boards can be sanded, although, with their thin veneer, not to the same extent as a solid wood floor. They usually comes in fixed, long lengths - which may have been pre-treated in the factory, so they require no finishing when laid down. resistance. They offer no such benefit on ply, chipboard or other wooden subfloors. Popular from the 1930s-1970s, it is a style that lends itself to elaborate design. Such intricate patterns are not possible with other types of wooden flooring. The blocks are always delivered untreated, to be refinished and sealed after fitting. They need a good level surface for laying, so thorough subfloor preparation is essential. 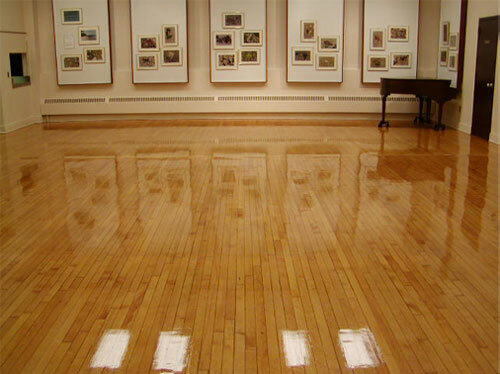 Although it is a solid wood type of flooring, it is not sensitive to moisture. If any underlay is required for thermal or sound proofing, it cannot be laid directly underneath. A covering of ply will be needed, entailing more time and expense. Laying a parquet floor can be a painstaking job, depending on the pattern, degree of sanding and finish. A host of aesthetic and practical considerations for you to mull over! All depending on the anticipated wear and the venue for your new floor - in the home, public building or commercial property. Make sure you use an experienced company for help in making your choice. 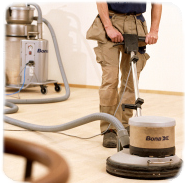 Sanding Wood Floors are a family firm who have installed and restored hundreds of floors for over twenty years. We will assess the rooms and advise you on the most suitable flooring type. And prepare a programme to meet your budget.